Following another sensational series of unforgettable routines, spectacular showstoppers and magical moments on Strictly Come Dancing, dance fever has well and truly swept the nation - but viewers need not fear missing out as brand new talent show The Greatest Dancer arrives on BBC One. Seeing the new year in with style, former Strictly Come Dancing champion and former judge Alesha Dixon and Diversity’s Jordan Banjo host the brand new series, a co-production for BBC One between creator Syco Entertainment and Thames (part of FremantleMedia UK), which will contain dramatic auditions, outstanding talent and jaw-dropping surprises as dancers give the performance of their lives every Saturday night in The Greatest Dancer. The brand-new dance talent show will see dancers of any age and dance style compete to win £50,000 and a chance to perform on Strictly Come Dancing. Leading the charge to discover The Greatest Dancer are three superstar Dance Captains: multi-platinum-selling singer Cheryl; Broadway and Glee star Matthew Morrison; and Strictly Come Dancing professional Oti Mabuse. Get ready to see talent from across the world of dance from ballet to jazz, street to ballroom, contemporary to disco as they give the performances of their lives in the hope of opening the mirror. For the first time, the audience hold the power, if they are impressed by the audition, they will vote to open the mirror, if 75 percent of the audience vote YES, the mirror will open and the dancer will make it through to the next stage of the competition, the callbacks. Mirror Mirror on the Wall, who is The Greatest Dancer of them all? The first four episodes of the series sees dancers, from ages seven upwards, performing any dance style they choose, and travel to The Greatest Dancer studio in their bid to impress the audience, get that all important 75 percent of the audience vote and open the mirror wall. Also watching from behind the mirror are the three Dance Captains Oti Mabuse, Matthew Morrison and Cheryl. Whilst the Dance Captains don’t get to vote, they are watching everything and will be offering their feedback too. Once the auditions are complete, it is time for the call backs as the Dance Captains have the difficult task of choosing just nine of the dancers they would like to mentor onto the next stage of the competition - the live challenge shows. At this stage, the show goes LIVE for the first time. Every week each of the dancers are set a challenge that they must take on with their Dance Captain to create a performance that will impress the viewers at home and keep them in the competition. The remaining acts will all perform before the voting lines open once again as viewers at home get to choose who they want to be named The Greatest Dancer, win £50,000 and perform as a very special guest on Strictly Come Dancing. The Greatest Dancer will be executive produced by Nigel Hall, Global Head of Television, Syco Entertainment, Amelia Brown, Managing Director, Thames TV and Louise Hutchinson, Executive Producer, Thames TV. This commission marks the first Syco/Thames co-production for the BBC. The Greatest Dancer Podcast on BBC Sounds starts Friday 4 January 2019 with new episodes every Sunday. The official TV companion podcast for BBC One’s new dance talent show. Every week, BBC Radio 1’s Mollie King and The Greatest Dancer’s Jordan Banjo are joined by special guests for a post-show breakdown. This is your backstage pass to all the gossip, chatter and inside takes from the UK’s newest dance competition. Mollie and Jordan will delve deeper into the world of The Greatest Dancer, following the conversation around the show, online and backstage. 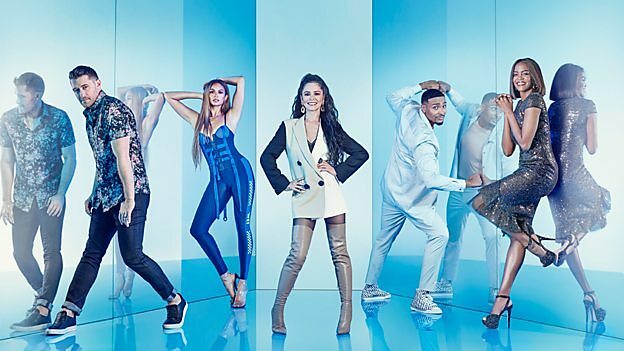 With new episodes available the day after the show on BBC One, this is the first stop for all the reactions from the Dance Captains and the contestants. Download BBC Sounds to subscribe to The Greatest Dancer Podcast.